As nice as it is to have electric lighting, there’s one thing light bulbs can’t do – make rooms smell wonderful. There’s no fault in this, it’s just the way light bulbs are designed. They’re not as organic as candles are, so when you want to freshen a room with a scent that makes you feel uplifted, fragrant candles are a reliable conveyer of your favorite aromas. Since they were first invented, candles have operated the same way. Light the center wick with direct flame and watch as it burns down to the wax, melting it upon contact. It’s simple and effective. Unfortunately, candles can also be a bit messy. Dripping wax runs down the sides, causing it to harden anywhere it lands. Scraping hardened candle wax off surfaces isn’t fun, regardless of how much you love burning them. Thankfully, this isn’t a problem when you choose any of our beautifully crafted candles and candle holders. Wax candles are molded into either a jar or tin, and as they burn, the wax is fully contained, so there’s never any dripping messes to clean up. 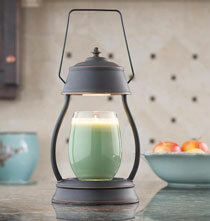 We also offer decorative candle holders that are heat tolerant enough to burn for hours. Combine both these things, and you’ve got a candle melting system that’s easy as pie to use. 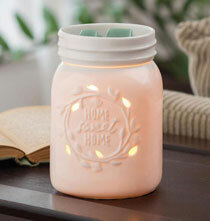 Candle warmers come in all sorts of designs, and that’s because everyone has different tastes when it comes to decorative accents. 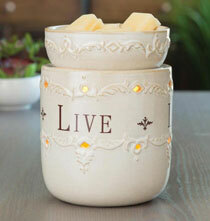 Some are quaint pots with lids, some resemble popular jars or lanterns and some plug into wall outlets. 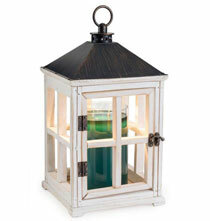 All warmers are designed to enhance the décor of any room in a warm and friendly way. 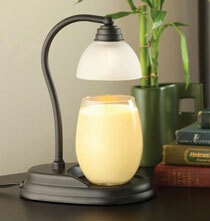 We offer tealight candle warmers and wax melt warmers for maximum enjoyment. The subtle scent of a familiar fragrance wafts through the air, filling it with aroma and memories. This is what happens any time someone burns fragrant wax. We offer you the choice of aromatic candles in traditional glass jars, in round tins or as chunks of wax packaged in containers. 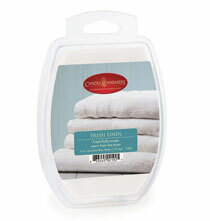 Each come in a variety of pleasing fragrance categories such as everyday scents and holiday scents.